WASHINGTON (Reuters) - The U.S. Navy's top cyber warrior was nominated by President Barack Obama on Thursday to head the National Security Agency at a time when the embattled unit is under fire for spying on Americans and allies. Navy Vice Admiral Michael Rogers, the head of U.S. Fleet Cyber Command, is not expected immediately to change the NSA, shaken by revelations by former contractor Edward Snowden. If confirmed by the Senate, Rogers would take over as head of both the NSA and the military's Cyber Command from Army General Keith Alexander, who is likely to retire in March or April. A 30-year Navy veteran, Rogers is a trained cryptologist. "This is a critical time for the NSA, and Vice Admiral Rogers would bring extraordinary and unique qualifications to this position as the agency continues its vital mission and implements President Obama's reforms," Defense Secretary Chuck Hagel said in a statement. "I am also confident that Admiral Rogers has the wisdom to help balance the demands of security, privacy and liberty in our digital age," Hagel said. 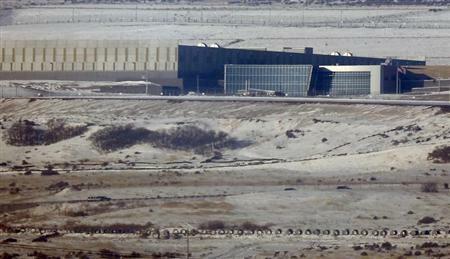 The NSA is under fire for monitoring the communications of U.S. friends and allies, as well as those of U.S. enemies, with a sweeping eavesdropping program whose scope was disclosed to the media by Snowden. It has been criticized for collecting vast amounts of metadata from the telephone calls of American citizens, information that could be mined to trace potential security threats. In a major speech earlier this month, Obama said he was banning eavesdropping on the leaders of allied countries and would begin reining in the collection of Americans' phone data. Rogers will also lead Cyber Command, the military force responsible for defending the United States against cyber attacks. Obama initially had considered splitting the leadership of the two organizations, but decided against it. Hagel also said Rick Ledgett had been appointed as deputy director and senior civilian leader of the NSA. He replaces Chris Inglis, who retired this month.